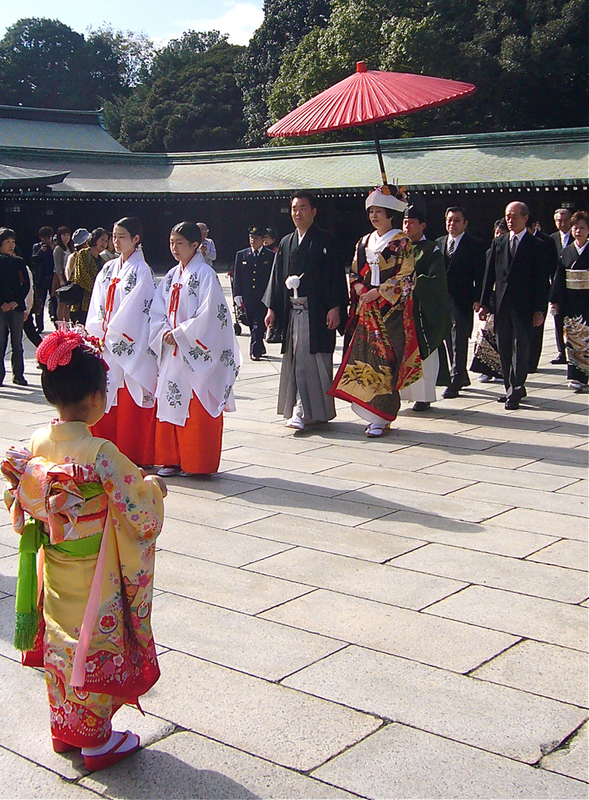 The Meiji Shrine has the most spectacular weddings, coming-of-age ceremonies, festivals and traditional events in town. The main gate in November, with bonsai chrysanthemums on either side of the entrance. This is the place where Emperor Meiji and his Empress are buried. I take my friends here to see weddings, coming-of-age holidays, and festivals, because when it comes to dressing up, the Meiji Shrine does it in style. 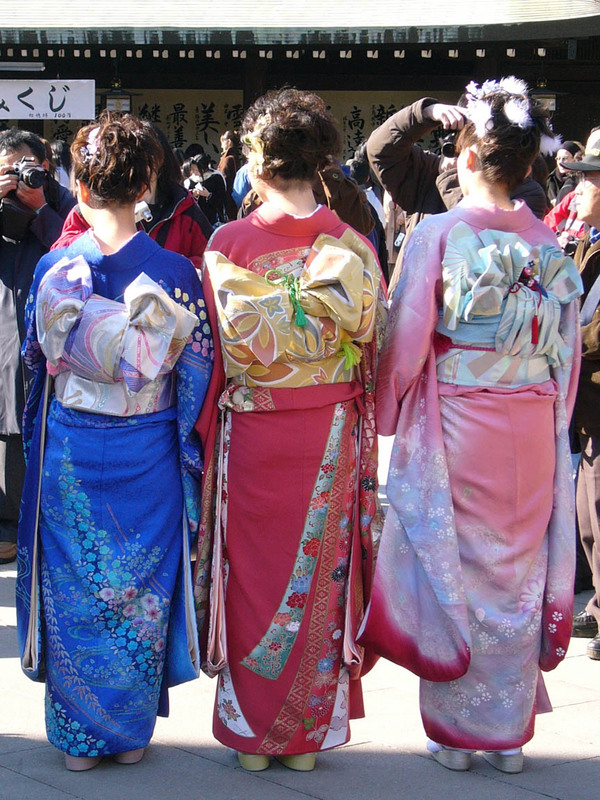 On Coming of Age Day (second Monday in January), 20-year-old girls deck themselves out in the most flamboyant and expensive kimonos they will ever own. 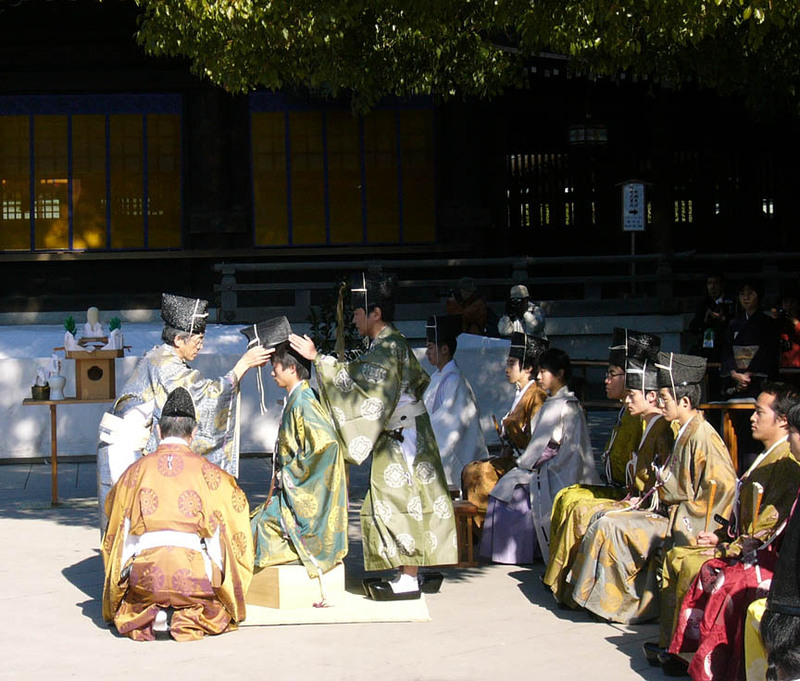 20-year-old boys wear priestly Shinto robes and hats. 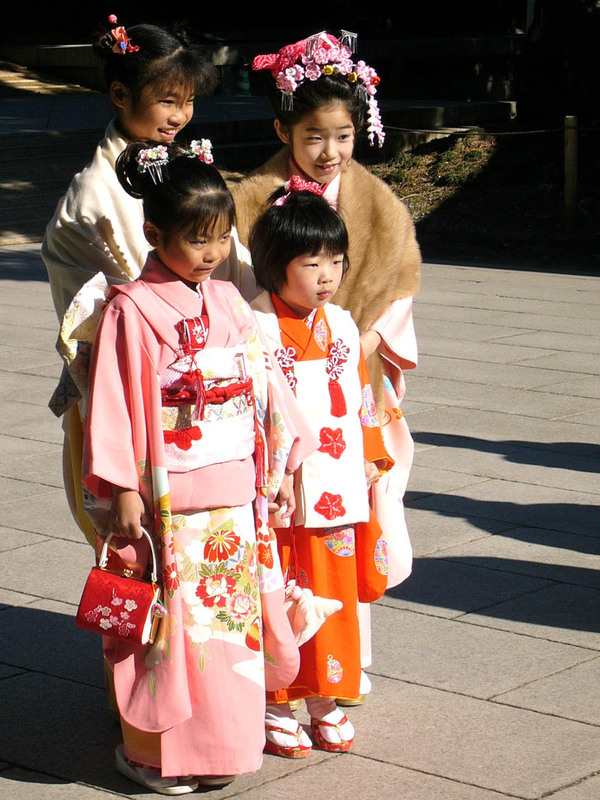 From November 1-15, families with children flock to the shrine for Shichi-Go-San pictures, all dressed in their finest kimonos. 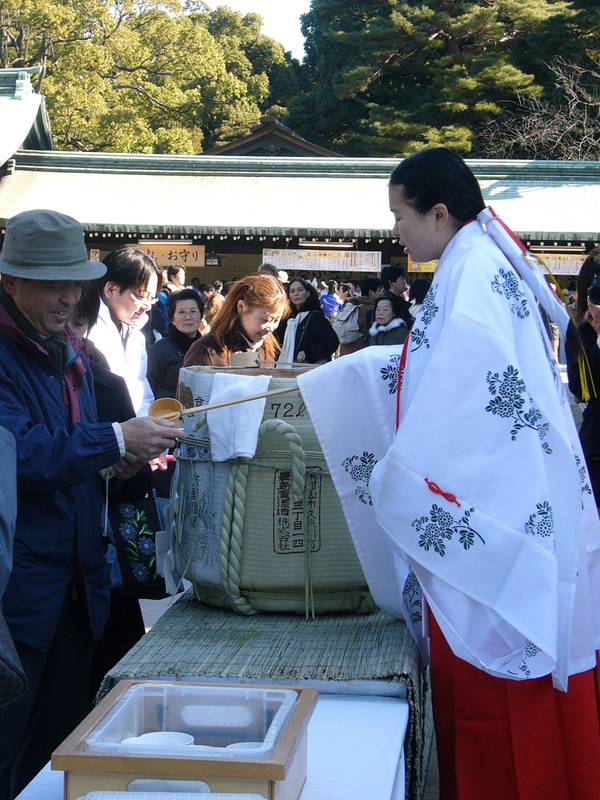 On New Year’s Day, shrine maidens ladle out warm saké to all visitors. 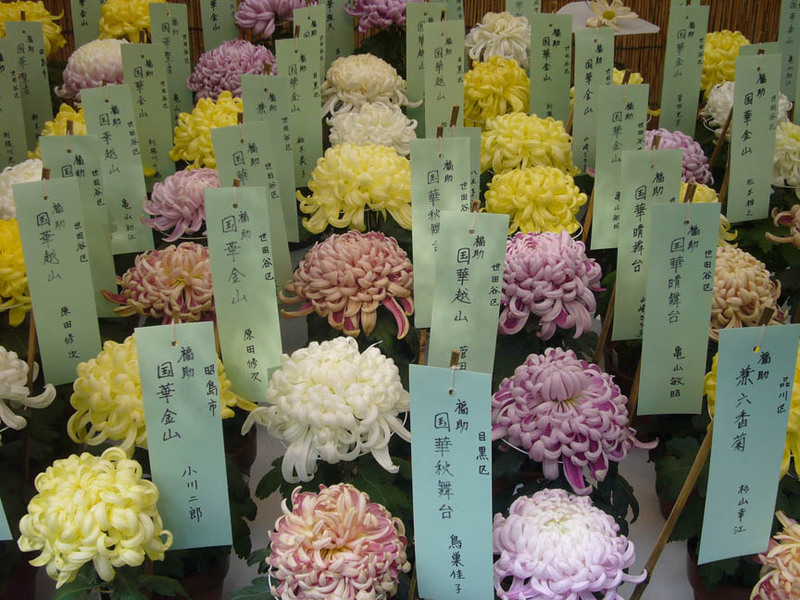 Don’t miss the big competitive chrysanthemum exhibits in November, featuring chrysanthemum bonsai and huge perfect specimens of famous varieties. The shrine is beautiful and serene in every season, but if you’re lucky enough to be in Tokyo when it snows, run as fast as you can to the Meiji Shrine to see how gorgeous the plain cedar and gold architecture is, all shrouded in white. 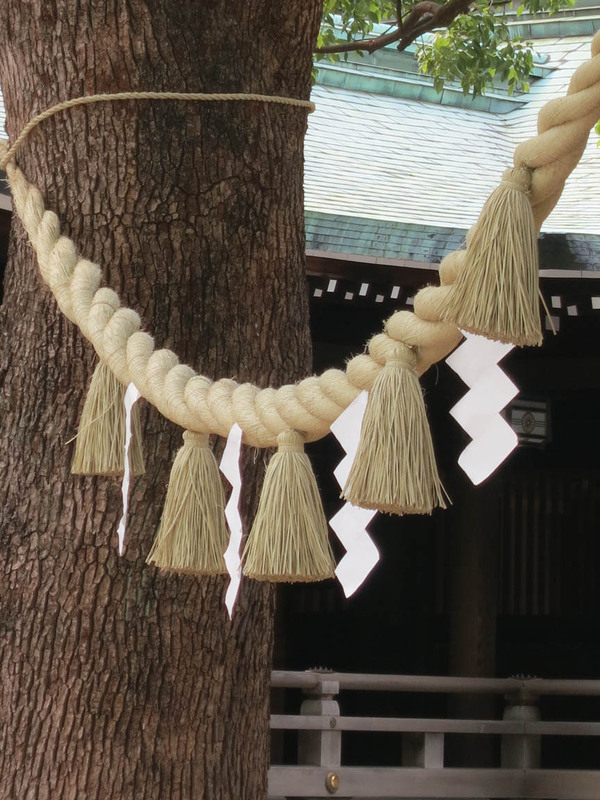 The rice straw ropes called shimenawa are draped around anything that is believed to be the home of one of the resident gods. Before we leave, let’s take a detour to the Nai-en Garden. It has wonderful walking paths, a large pond, and a famous iris garden that blooms in June. Don’t miss taking a stroll through the Nai-en Garden while you’re there, especially if it’s iris season. 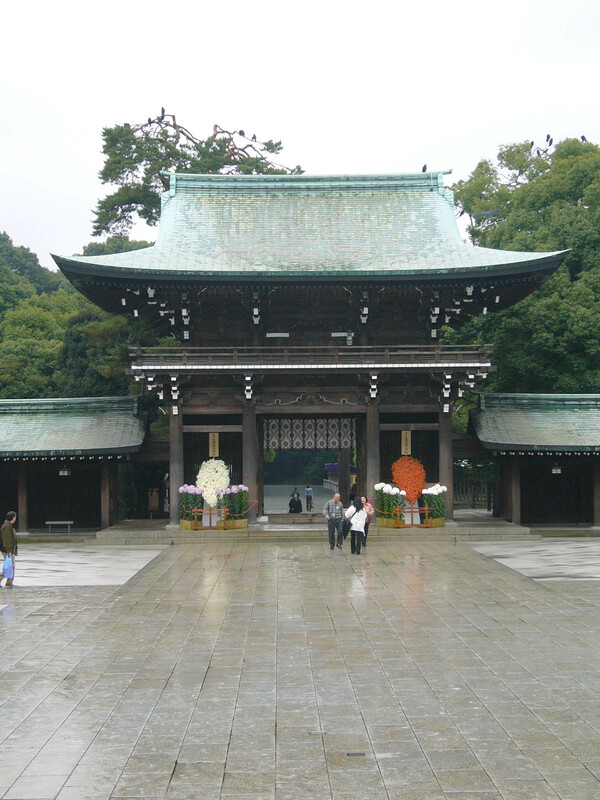 The entrance to the gardens is between the second giant torii gate and the shrine buildings. 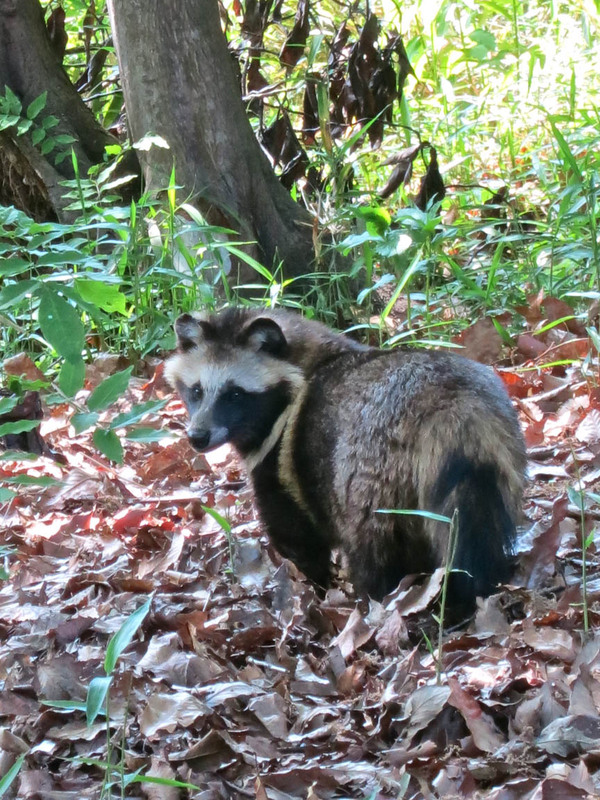 If we’re lucky, we’ll see a real live tanuki there, like I did last May! Look, a real live tanuki! Most people think they’re just characters from old legends, but here’s proof that the canids known as raccoon dogs actually exist.